The most demanded TR6 with separate oiltank. This one is in a reasonable condition, frame was once repainted and looks very nice, tinware was also once repainted but not perfect. Rear rim is lightly rusted. 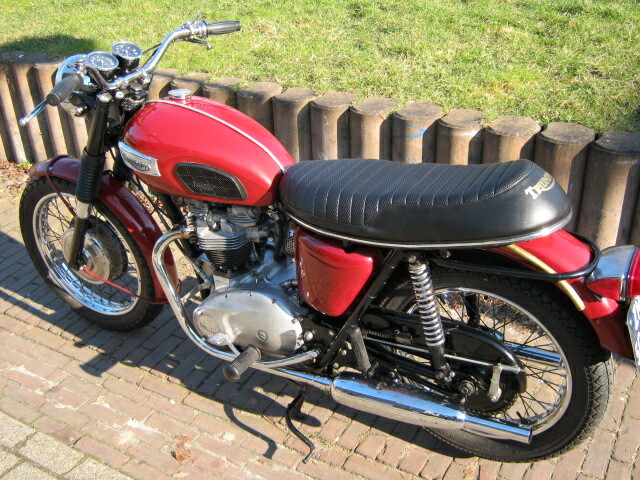 Buddyseat, cabletree, frontforksealholders and seals and electronic ignition are new. 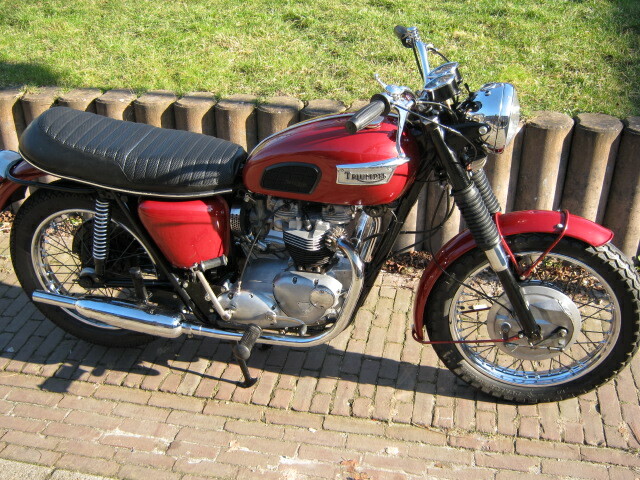 Engine was checked by unit Triumph specialist, who linebored the crackbearings and reground the top of the cases. Runs very good and rides great. Non matching nrs, is with Dutch registration.